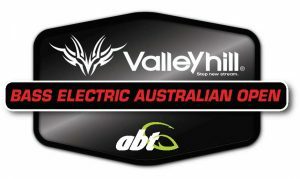 Valley Hill proudly presents a brand new event addition to the 2019 Bass Electric calendar line up – the BASS Electric Australian Open. A boater only, five fish limit two day bass fest heads to Wyaralong Dam for a red hot spring bass bite. Full details on this unique event can be found below. Entry into the event is now open so click here to download the entry form. NB: Anglers under 16 require a parent/guardian present for the entire session. Parent/guardian cannot assist during the session. Cash prizes will be paid out at the event with a 100% payback paid on a 1:5 return (e.g. 100% of entry fee returned in prizes, 25 anglers = payouts for 1st-5th place).